If you missed the February Conclave – you missed the awarding of our first Prize Knights Templar ball cap award to Sir Knight Ronnie Price who correctly answered the Ruthven history question of the month. This month we will discuss the unique character of Theodore U. Lubbock. You might recall seeing his photo in the Commandery foyer. Theodore Uglow Lubbock was created a Knight Templar in Ruthven Commandery . No.2, K. T., on August 24, 1869, and served two terms as Eminent Commander, 1880 and 1881. He was appointed Grand Sword Bearer in 1881, elected Grand Senior Warden in 1882 and progressed up the grand line regularly, serving as Grand Commander of the Grand Commandery of Texas in 1886- 1887. He attended Virginia Military Academy and was part of the detail dispatched to witness the hanging of John Brown. He was appointed the first Senior Deacon of the newly created Gray Lodge in 1870 and in 1871 true Masonic fashion took part in the raising of a former enemy and Union Captain – Alfred Kincaid Taylor, also a future member of Ruthven Commandery. 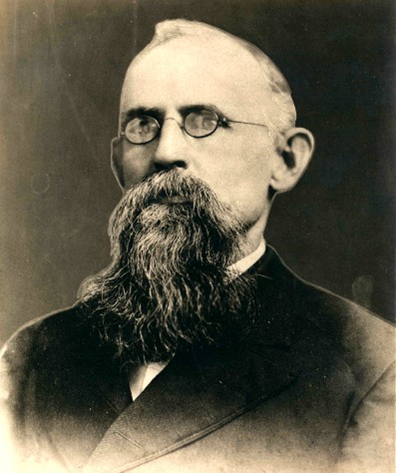 The 1870 City Directory lists F. R. Lubbock & Son as Commission Merchants and Auctioneers. At that time the residence of T. U. Lubbock was at Wilson and Buffalo with Lubbock’s Grove, a pleasure ground, adjoining the residence. 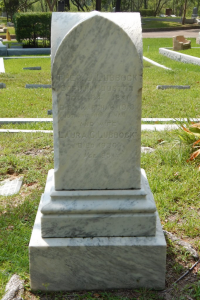 He had been a merchant in Houston for 26 years at the time of his death. U. Lubbock received the first degree in Masonry in Holland Lodge No.1 on October 26, 1867, the second degree on December 4, 1867, and the third degree on February 29, 1868. He was appointed as Senior Steward of Holland Lodge No.1 by Worshipful Master A. S. Richardson and served during 1869. He was the Senior Deacon of Holland when Gray Lodge was formed and Worshipful Master A. S. Richardson of Gray Lodge appointed him to fill the same position in the new Lodge. He continued to serve “the Station in both Lodges until the close of the year .” He was Senior Deacon again in 1871 for Gray Lodge, Senior Warden in 1872 and the third Worshipful Master in 1873. He received the Chapter Degrees in Washington Chapter No, 2, R. A. M., in October and November, 1868 and was High Priest of Washington Chapter No.2 in 1871. He received the Order of High Priesthood on June 14, 1871. He was a very zealous Mason and for 10 consecutive years was District Deputy Grand Master of the Houston area (15th and then the 12th Districts) . He was the last surviving charter member in Gray Lodge at the time of his death on March 16, 1913. He had been in ill health for some years prior to his decease. He was survived by his wife, whom he had married in 1864, and four children. He is interred at Glenwood Cemetery, only minutes from our current asylum.